Why would I care about their acceptance? If there’s one dessert that rules as the Queen of Arabic sweets, I would nominate Kunafe Nabulsia [كُنَافَة نَابُلْسِيَّة], the sticky pastry made of gooey sweet cheese sandwiched between layers of shredded kunafe pastry. In different variations of this dish, the cream is replaced by mozzarella. The exact ingredients differ depending on which Arabic region it comes from. This specialty from the Palestinian city of Nablus is prepared in enormous round trays, saturated with rose-scented syrup, cut into slabs and garnished with chopped pistachios. The story of Kunafa begins when:”it was introduced by a physician who saw how some princes had a hard time fasting (in Ramadan) because of their appetite. He created the dish and instructed the princes to eat a great amount of it just before dawn, and as a result they were never hungry during the day” (Al-Ahram, 2004). 1 lb of shredded Phyllo Dough; thin sheets of unleavened flour dough. (3) Melt the butter in the microwave, then pour it on the dough. Mix the butter and the dough well until it is all absorbed. (4) Take a baking pan and add a few oil drops on the bottom so the dough does not stick to the bottom of the pan. (5) Take half the dough that you mixed the butter with and place it in pan. (7) Cover the nuts with the other half of the dough. (8) Pat down very well. 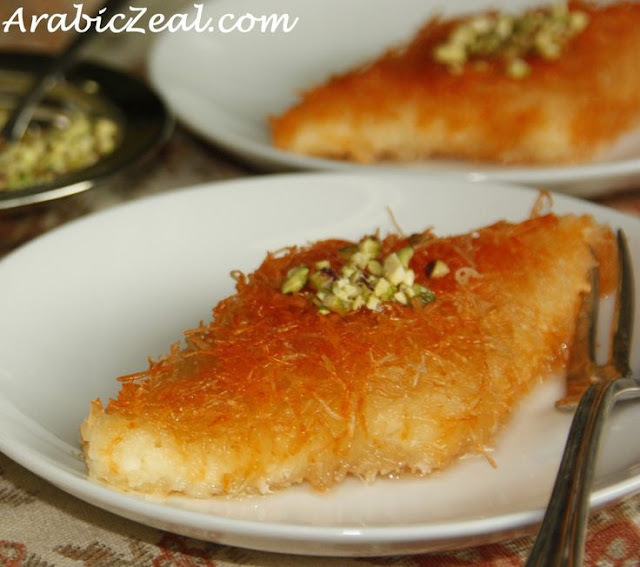 (9) Place into oven for 25 to 30 minutes until the Kunafa becomes a golden color. 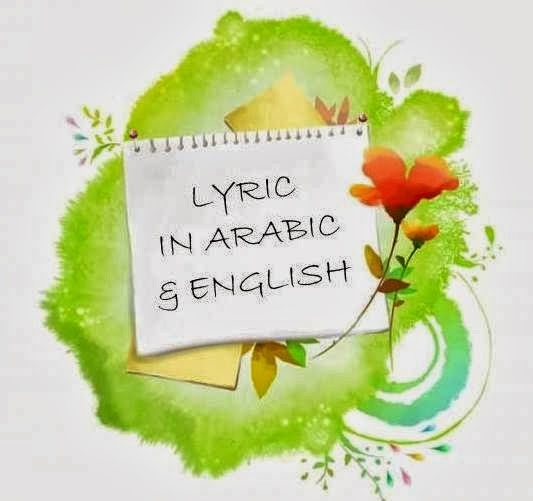 This is well-know Arabic alphabet song. It has beautiful lyric meanings. Alif is for rabbit that runs and plays and eats carrots so he won’t get tired. Baa’ is for duck that jumped and fell making the cat laugh at her. Jeem is for camel in the desert like a ship on the water. ‘Haa” is for hajj, the best desire to talk/roam around the ka’ba. ‘KHaa’ is for bread at the merchant, only hungry people eat it. Dal is for rooster and his good sound making ‘athan’ on the rooftop. ‘THal (the)’ is for wolf a tuff monster who fears nothing but dogs. ‘Sad’ is for hunter who threw his net, and then caught a fish. ‘Dad’ is for officer who protects my home and provides security. ‘Ta’ is for child who is clean and in good appearance. ‘THa’ is for a nail that we cleaned. It got a little longer so we cut it. ‘Ayn’ is for an eye/soul who fears his creator(Allah) doing good things that please him. ‘GHayn’ is for (ghar hiraa’) hiraa’ cave where the Quraan came down. Kaaf is for dog who lived beside me, cares for my sheep and guards my house. Laam is for meat that makes me grow(muscles) and it covers my bones. Meem is for masjid, the house of God, in it I make all my prayers. Noon is for river.. the nile river that is generous. Haa’ is for pyramid, high and a symbol of strength. Waw is for face for the human, there is light of faith.